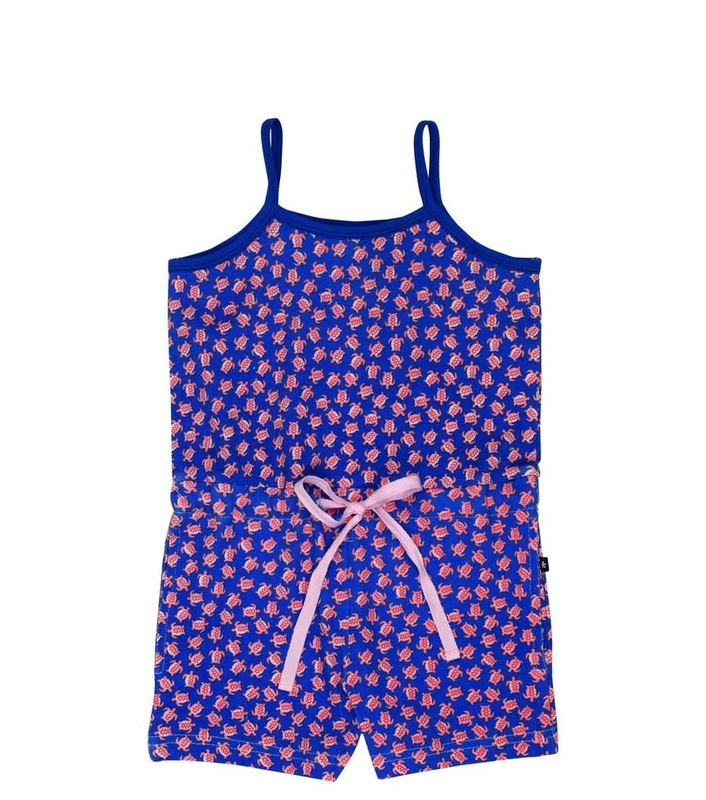 One piece romper great for park, beach or boardwalk. Yarn-dye pink turtle print. Draw string and side pockets. Created in a soft stretch cotton blend. Machine washable.